Everyone has their favorite way to travel, from cruise ship voyagers to vagabonds on the open road. It’s an all-consuming addiction–but what happens when age begins to slow a traveler down? Traveling Below the Speed Limit describes different ways of travel and exploration: living in a foreign city, exploring familiar turf, venturing into the unknown territory of aging. A bus pass can serve as a passport; a city of residence can offer undiscovered experiences; a distant metropolis can become home for a month–or a year. And growing old, as that indomitable traveler Martha Gellhorn discovered, can be the last great adventure. Take a trip with Janet Brown, whose essays show how daily life and travel intertwine as she wanders around Bangkok, finds unfamiliar delights in her home city of Seattle, and learns to enjoy life after sixty. Marcello Di Cintio first visited Palestine in 1999, and as with most outsiders, the narrative he knew was one defined by unending struggle, a near-Sisyphean curse of stories of oppression, exile, and occupation. In Pay No Heed to the Rockets, he reveals a more complex story—the Palestinian experience as seen through the lens of authors, books, and literature. Using the form of a political-literary travelogue, he explores what literature means to modern Palestinians and how Palestinians make sense of the conflict between a rich imaginative life and the daily tedium and violence of survival. 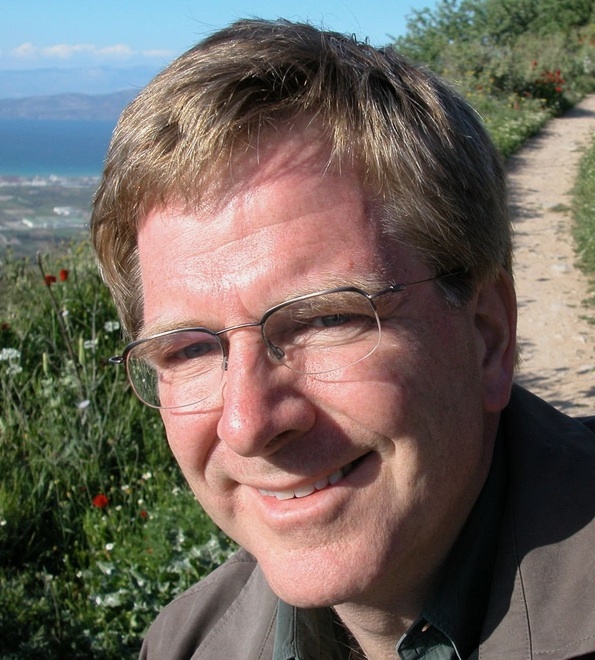 Taking the long route through the West Bank, into Jerusalem, across Israel, and finally into Gaza, he meets with poets, authors, librarians, and booksellers to learn about Palestine through their eyes, and through the story of their stories. Di Cintio travels through the rich cultural and literary heritage of Palestine. It’s there that he uncovers a humanity, and a beauty, often unnoticed by news media. At the seventieth anniversary of the Arab-Israeli War, Pay No Heed to the Rockets tells a fresh story about Palestine, one that begins with art rather than war. MARCELLO DI CINTIO is the author of four books, including the critically acclaimed Walls: Travels Along the Barricades, winner of the 2013 Shaughnessy Cohen Prize for Political Writing and the City of Calgary W.O. Mitchell Book Prize. Di Cintio’s essays have been published in The Walrus, Canadian Geographic, The New York Times, Condé Nast Traveller, and Afar. He lives in Calgary. Aspiring travel writer Eddie Rock has hit hard times. Drowning in a midlife crisis of fear and debt, he looks for a second chance. A fortuitous encounter with false medium Ralph Keeton in Canada triggers his story with warnings in the not-so-distant-future. A new house, a dangerous woman, an unfortunate brush with the law, and an unforgettable stag party set the tone for Eddie, who hits the road in this timeless European misadventure. Following the footsteps of countless saints and sinners before him, Rock travels the well-trodden road to Santiago de Compostela in search of enlightenment, salvation, and forgiveness, with a full cast of strange and interesting characters, spectacular places and plenty of wine. Eddie Rock’s book is honest, entertaining, a warts-and-all romp as he takes us on a long walk of alcoholic indiscretions, more brushes with the law and accidental applications of deep heat, all the while providing an entertaining commentary of his surroundings and never taking himself too seriously. It makes for a refreshing change from the usual run of Camino stories, treating the whole thing as some reverential sacred cow! Eddie Rock grew up in Dublin, Ireland, and later lived abroad in England, Holland, Australia, New Zealand, Canada, Israel, and Egypt. He currently lives in the Galician mountains in Northern Spain. He aspires to one day turn his mountainside farmhouse into a fully functioning writer’s retreat. In his free time, Eddie enjoys chainsaw carving, creating tattoo art on wood, and playing music. The Camino de Santiago: A Sinner’s Guide is his first book. Everyone travels for different reasons, but whatever those reasons are, one thing is certain: they come back with stories. 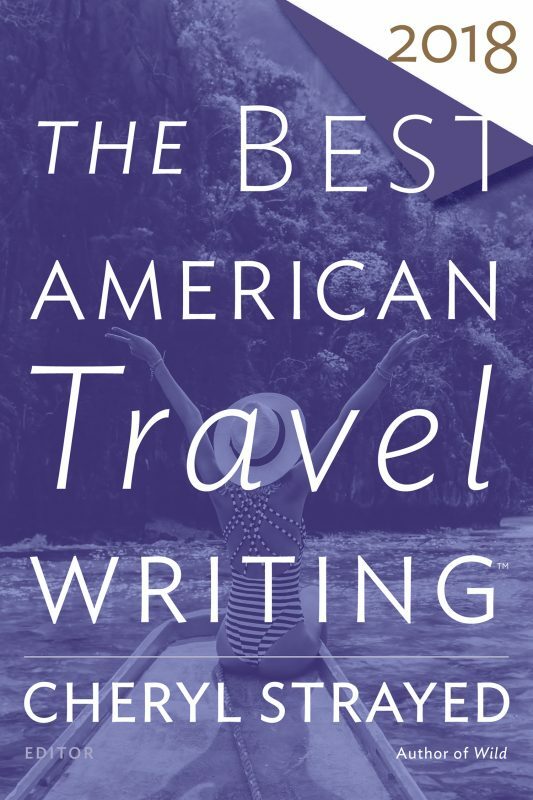 Each year, the best of those stories are collected in The Best American Travel Writing,curated by one of the top writers in the field, and each year they “open a window onto the strange, seedy, and beautiful world, offering readers glimpses into places that many will never see or experience except through the eyes and words of these writers” (Kirkus). This far-ranging collection of top notch travel writing is, quite simply, the genre’s gold standard. Cheryl Strayed is the author of the #1 New York Times bestseller Wild, the New York Times bestseller Tiny Beautiful Things, and the novel Torch. Wild was chosen by Oprah Winfrey as her first selection for Oprah’s Book Club 2.0 and optioned for film by Reese Witherspoon’s production company, Pacific Standard. Wild was selected as the winner of the Barnes & Noble Discover Award and also received an Indies Choice Award, an Oregon Book Award, a Pacific Northwest Booksellers Award, and a Midwest Booksellers Choice Award. Strayed’s writing has appeared in The Best American Essays, the New York Times Magazine, the Washington Post Magazine, Vogue, Allure, The Missouri Review, The Sun, The Rumpus—where she has written the popular “Dear Sugar” column since 2010—and elsewhere. Her books have been translated into twenty-eight languages around the world. She holds an MFA in fiction writing from Syracuse University and a bachelor’s degree from the University of Minnesota. She lives in Portland, Oregon, with her husband and their two children. True surfers understand that surfing is not a sport, a hobby or even a lifestyle. Instead, it is a path, a constantly evolving journey that directs where you go, how you live, and who you are. In 2006, Liz Clark decided to follow the path that surfing, sailing and love of the ocean had presented to her. Embarking on an adventure that most only dream of taking, she set sail from Santa Barbara, solo, headed to the South Pacific. Nine years later she is still following her path in search of surf and self and the beauty and inspiration that lies beyond the beaten path. In stories overflowing with epic waves and at the whim of the weather, Liz captures her voyage in gripping detail, telling tales of self awareness, solitude, connection to the earth, and really great surf spots. When Liz Clark was nine, her family spent seven months sailing down Mexico’s Pacific coast. After returning to land life in San Diego, she dreamed of seeing the world by sailboat one day. While earning her BA in Environmental Studies from UC Santa Barbara, she fell in love with surfing. After college, she turned her voyaging dream into reality, sailing south from Southern California through Central America and the Pacific Islands. For more than a decade, she has kept her nomadic ocean lifestyle going through writing, blogging, photography, representing conscious brands, and earning recognition as a surf adventurer, environmental activist, and captain. She hopes to inspire people to live their passions and reconnect with nature and our inherent oneness. She was featured in the film Dear and Yonder (2009), and nominated for National Geographic Adventurer of the Year in 2015. In our increasingly frantic daily lives, many people are genuinely fearful of the prospect of solitude, but time alone can be both rich and restorative, especially when travelling. Through on-the-ground reporting and recounting the experiences of artists, writers, and innovators who cherished solitude, Stephanie Rosenbloom considers how being alone as a traveller—and even in one’s own city—is conducive to becoming acutely aware of the sensual details of the world—patterns, textures, colors, tastes, sounds—in ways that are difficult to do in the company of others. Alone Time is divided into four parts, each set in a different city, in a different season, in a single year. The destinations—Paris, Istanbul, Florence, New York—are all pedestrian-friendly, allowing travelers to slow down and appreciate casual pleasures instead of hurtling through museums and posting photos to Instagram. Each section spotlights a different theme associated with the joys and benefits of time alone and how it can enable people to enrich their lives—facilitating creativity, learning, self-reliance, as well as the ability to experiment and change. Rosenbloom incorporates insights from psychologists and sociologists who have studied solitude and happiness, and explores such topics as dining alone, learning to savor, discovering interests and passions, and finding or creating silent spaces. Her engaging and elegant prose makes Alone Time as warmly intimate an account as the details of a trip shared by a beloved friend—and will have its many readers eager to set off on their own solo adventures. Stephanie Rosenbloom is the staff columnist for the Travel section of The New York Times, where she has been a reporter for various desks (including Styles, Business, and Real Estate) for more than a decade. She has appeared on CNN’s American Morning, NBC’s The Today Show, and NPR’s The Takeaway. Part pop history and part whimsical memoir in the spirit of National Lampoon’s Vacation—Don’t Make Me Pull Over!is a nostalgic look at the golden age of family road trips—a halcyon era that culminated in the latter part of the twentieth century, before portable DVD players, iPods, and Google Maps. In the days before cheap air travel, families didn’t so much take vacations as survive them. Between home and destination lay thousands of miles and dozens of annoyances, and with his family Richard Ratay experienced all of them—from being crowded into the backseat with noogie-happy older brothers, to picking out a souvenir only to find that a better one might have been had at the next attraction, to dealing with a dad who didn’t believe in bathroom breaks. The birth of America’s first interstate highways in the 1950s hit the gas pedal on the road trip phenomenon and families were soon streaming—sans seatbelts!—to a range of sometimes stirring, sometimes wacky locations. Frequently, what was remembered the longest wasn’t Mount Rushmore, Yellowstone, or Disney World, but such roadside attractions as “The Thing” in Texas Canyon, Arizona, or “The Mystery Spot” in Santa Cruz, California. In this road tourism-crazy era that stretched through the 1970’s, national parks attendance swelled to 165 million, and a whopping 2.2 million people visited Gettysburg each year, thirteen times the number of soldiers who fought in the battle. Now, decades later, Ratay offers a paean to what was lost, showing how family togetherness was eventually sacrificed to electronic distractions and the urge to “get there now.” In hundreds of amusing ways, he reminds us of what once made the Great American Family Road Trip so great, including twenty-foot “land yachts,” oasis-like Holiday Inn “Holidomes,” “Smokey”-spotting Fuzzbusters, 28 glorious flavors of Howard Johnson’s ice cream, and the thrill of finding a “good buddy” on the CB radio. A rousing Ratay family ride-along, Don’t Make Me Pull Over! reveals how the family road trip came to be, how its evolution mirrored the country’s, and why those magical journeys that once brought families together—for better and worse—have largely disappeared. Richard Ratay was the last of four kids raised by two mostly attentive parents in Elm Grove, Wisconsin. He graduated from the University of Wisconsin with a degree in journalism and has worked as an award-winning advertising copywriter for twenty-five years. Ratay lives in Menomonee Falls, Wisconsin, with his wife, Terri, their two sons, and two very excitable rescue dogs.